Located west of Asia and north east of Africa, the Middle East is a unique region of the world home to an exotic range of countries including Egypt, Israel, Jordan, Lebanon, Saudi Arabia, Turkey and the United Arab Emirates. The birthplace of ancient civilizations and the some of the most familiar world religions, the Middle East is a diverse region of modern political and economic importance. Home to some of the world’s most incredible historical and cultural attractions, the Middle East is a region of contradictions. Ancient ruins meet some of the most modern and progressive skyscrapers in the world and mighty rivers give way to famous deserts before the untold beauty of green landscapes. Located in the UAE, Dubai is located on the sandy coastline of the Arabian Gulf lapped by the Persian Gulf’s sapphire waters and is a modern holiday destination home to the tallest, fastest, largest and highest of everything. 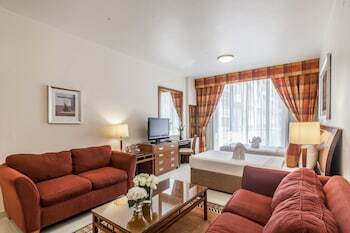 Middle East accommodation can range from basic and budget to plush and palatial, however most accommodation sits nicely somewhere in the middle of that scale. 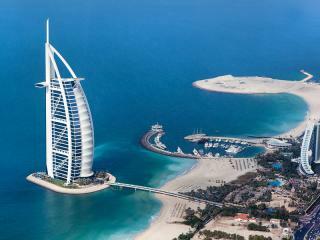 Perhaps one of the most exciting places when it comes to Middle East accommodation is Dubai. Home to one of the world’s most incredible hospitality industries, Dubai is famous for its luxury and high end accommodation with a huge range of 4 and 5 star hotels as well as the world’s only 7 star hotel. Despite its reputation for opulence, there are still a great range of accommodation options for those not wanting to splash some cash. The Middle East holds approximately two thirds of the world’s global oil reserves which equates to roughly 1 trillion barrels of oil. Although Arabic, Turkish, and Persian are the main languages spoken in the Middle East, you may be surprised to learn that English is quite common. It is spoken by much of the population in Egypt, Jordan, Israel, Bahrain and United Arab Emirates. Egypt, Jordan, Lebanon, Syria, Morocco, Tunisia, and Turkey all have their own national beers. The United Arab Emirates has less crime than the U.S., Canada, Germany, Britain, New Zealand or Australia. One of the world’s best-preserved Roman temples is in Lebanon.